The follow up to the boundary breaking, IDMA nominated compilation adventure. Featuring tracks and remixes from progressive giants like Hybrid, Tilt & Medway and young guns like Mike Saint-Jules, Shingo Nakamura & Kasuza, Jahawi, Majera and Piotro. 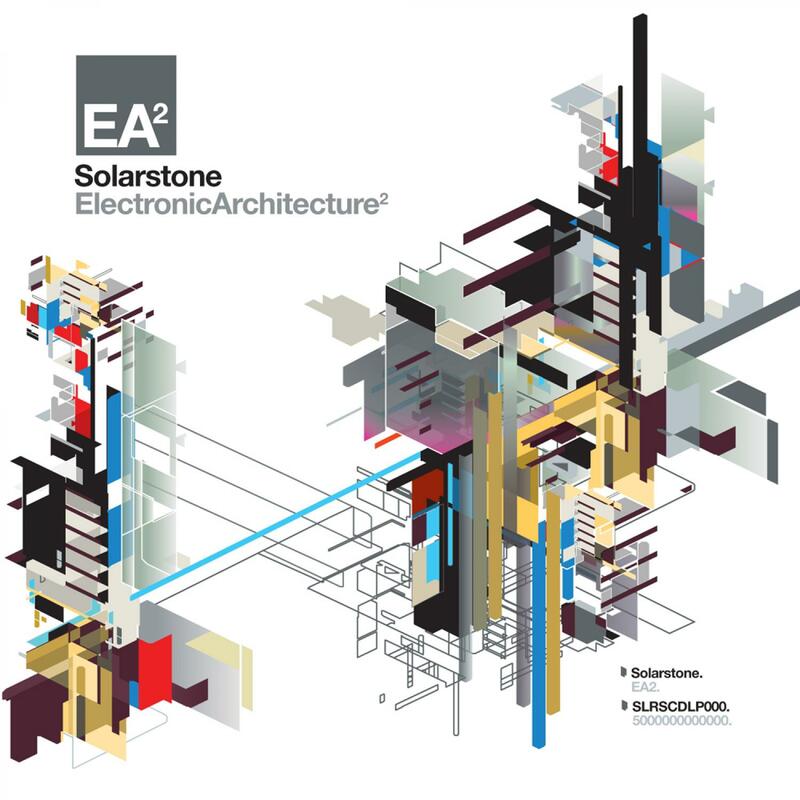 In 2009 Solarstone released 'Electronic Architecture'… a knowing kick-back against the throwaway nature of today's mix CD. It was nominated for Best Compilation Album at the 2010 WMC International Dance Music Awards, running against releases by Deadmau5, Paul van Dyk, Above & Beyond and Armin van Buuren. It won press plaudits (and fan acclaim) for its imaginative concept, with Tilllate Magazine hailing it as "a magical blend of music, art and design" and DJ Mag calling it "a genuine gem". As designated by its 'squared2' tag this is not just a follow-up, nor simply a 'Pt.II', but an evolutionary next stage in the EA story, Electronic Architecture2 will unfold a landscape sound-design like no other. Using studio-born, super-immersive mixing techniques crossed with bespoke graphical aspects, Electronic Architecture's geometric/isometric futuristic sky-cities will rise again. Launching the week starting March 1st and housing its art aspect will be Electronic Architecture2's incredible portal. There, in another 1st for Solarstone, visitors will be able to deconstruct EA2's cover art and, online, re-build their own version of its spectacular super-structure. As the release date gets closer, so excerpts of the music will be premiered there and they will combine with this powerful, yet simple-to-use tool to create an incredible, thoroughly unique interactive experience! And what about the music – the Ying to the visual's Yang…? To uncover the 100% exclusive audio it carried, the original Electronic Architecture required a prodigious, exhaustive A&Ring mission… EA2 was no different! Seeking out music from newest, most talented electronic dance producers out there (from far-flung corners of the globe like China, Kenya, Japan and Australia) took Solarstone 9 months of precision dot…connecting. From the early dystopian, Blade Runner-esque micro-prog of Piotro's 'Mist' thru to the thoroughly utopian trance shimmer of Aerium's 'Icedive' and Elfsong's 'Eta Carinae', the album pans out to reveal its full musical panorama. Treating the blending of its composite tracks more like that of a full-length musical composition, it creates a deep and intricate mix where you'll hear echoes of tracks long before they fully reach the laser. Some of EA1's alumni return - Jahawi, Majera and DJ Orion all help to re-anchor the album's unique tone-set, while there's audio from progressive hall-of-famers too – Tilt, Hybrid and Medway among them. Solarstone's naturally is well represented too with Orkidea's glowing recreation of last year's 'Touchstone' and the new single 'Big Wheel' both premiering on the album. Come April the audio/visual élan of Electronic Architecture's successor will be released in full. For electronic dance fans around the world, it will not be a multimedia event to miss.